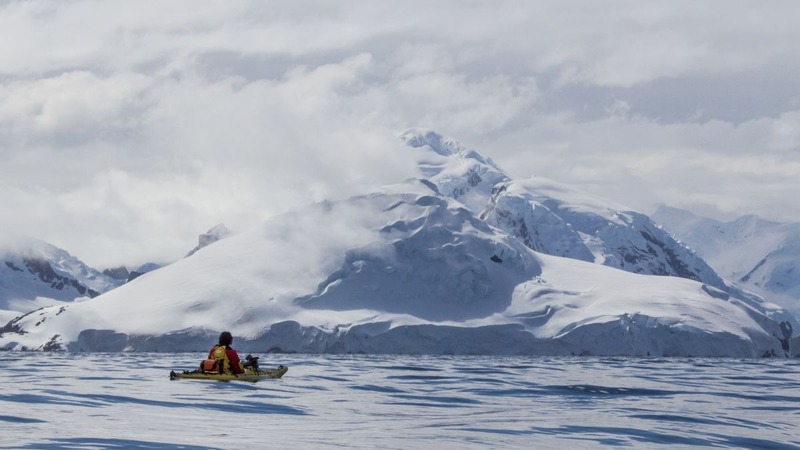 Antarctica might not be the first place that comes to mind when you think of kayaking, but for Ewan Blyth and Sophie Ballagh, kayaking in the Antarctic is better than anywhere else. 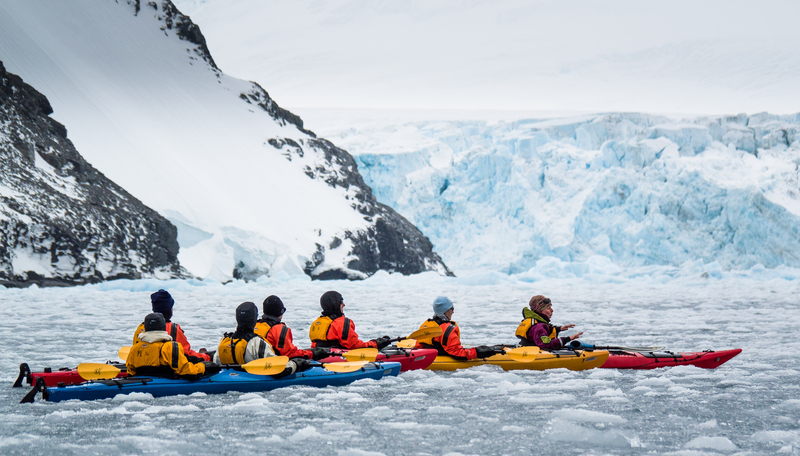 Kayak guides based in the Antarctic, they take groups of tourists on expeditions every week, past glaciers and icebergs, deep into the icy waterways. We spoke to Ewan about their story "Navigating the White Continent", to hear about the do’s and don’ts of guiding clients through one of the wildest and most extreme areas on the planet. How did you get into adventure guiding? Why did you choose the Antarctic in particular? Sophie’s direction in life pointed towards guiding from the moment a school careers advisor identified it as a potential career path. I on the other hand, started a little differently. After a professional career in a totally non-related industry (a desk-job! ), I fell into outdoor guiding rather unexpectedly and without meaning to! We have both guided in many parts of the world but keep being drawn to the Antarctic because it is so special and so unique. 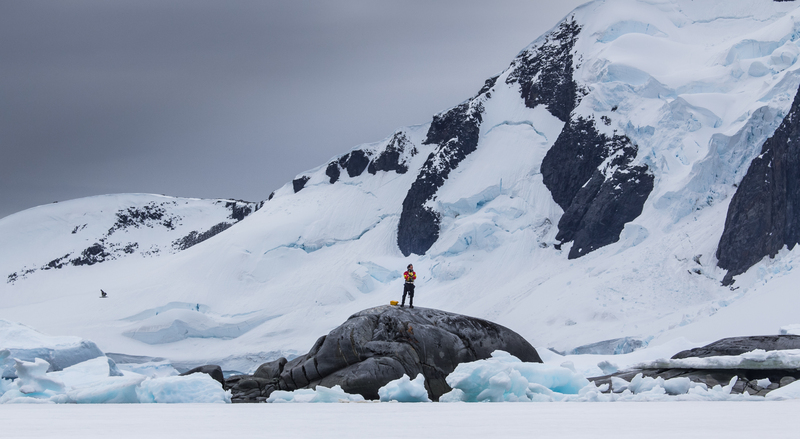 To be guides in the Antarctic, you’re both obviously inspired by the outdoors. What in particular inspires you about the outdoors and exploring? We both seek solace and connection in the outdoors. It’s our place of belonging as people. Exploring wild environments satisfies our curious minds. And Antarctica, with its rugged ice peaks, rambling glaciers and drifting icebergs, is a great place for an adventure. Considering Antarctica is such an extreme environment to be outdoors in, do your clients generally have prior kayaking experience before they go on a trip with you? Actually, although Antarctica seems like an extreme place to learn, it is very common for completely inexperienced clients to come to Antarctica and try sea-kayaking for the first time. We have to adjust to the needs of every individual no matter how much their skill levels differ – that is the art of guiding. Ultimately, what we do is safe even though it may seem like kayaking among icebergs in freezing water is extreme. What are some of the biggest dangers that you have to be aware of, when out kayaking? In terms of likelihood and consequence, the greatest hazard is the ice itself. Whether that is icebergs or glaciers, both can be dangerous if people behave inappropriately around them and don’t understand the risks. Trying to communicate this to clients can be difficult because they’re trying to understand the risks of something they’ve never seen before. Clients can underestimate the dangers associated with icebergs or glaciers but overestimate other perceived dangers like capsizing. Capsizing is not a real danger if you know what you are doing. Oftentimes with inexperienced explorers, it’s their reaction to something that increases the likelihood of incident. So, we need to tailor our approach to the needs of individual clients. Sometimes this means a calm, collected approach and at other times a more direct, authoritative approach is needed. How difficult do you find it to manage people who overestimate dangers like capsizing? Especially, if they are showing obvious signs of anxiety and are not acting calmly. Communication is crucial. If a client already knew how to properly cope with kayaking in the Antarctic, then they probably wouldn’t be a client. Working as a guide means working with clients with varying skill levels. In order to work with them effectively and set them up for success, you have to be a good communicator. If you communicate well, you can change an individual’s attitude and have a real impact on them. 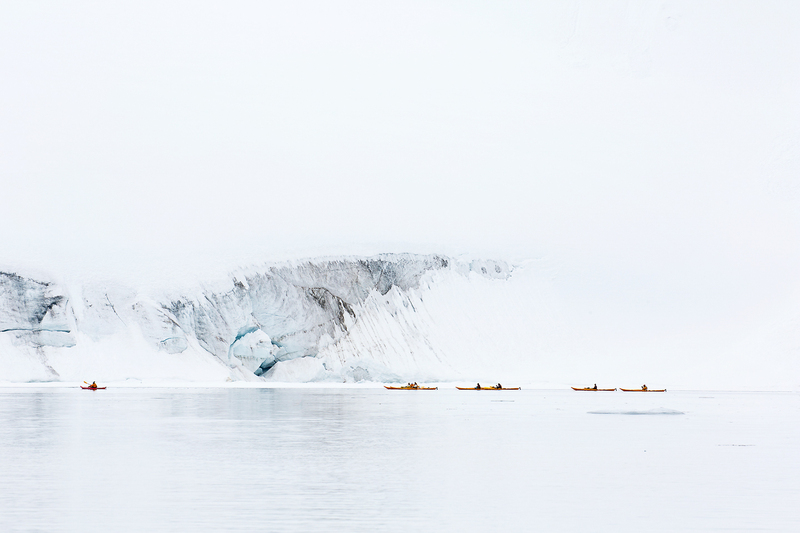 For many people, kayaking in the Antarctic will be a unique experience. 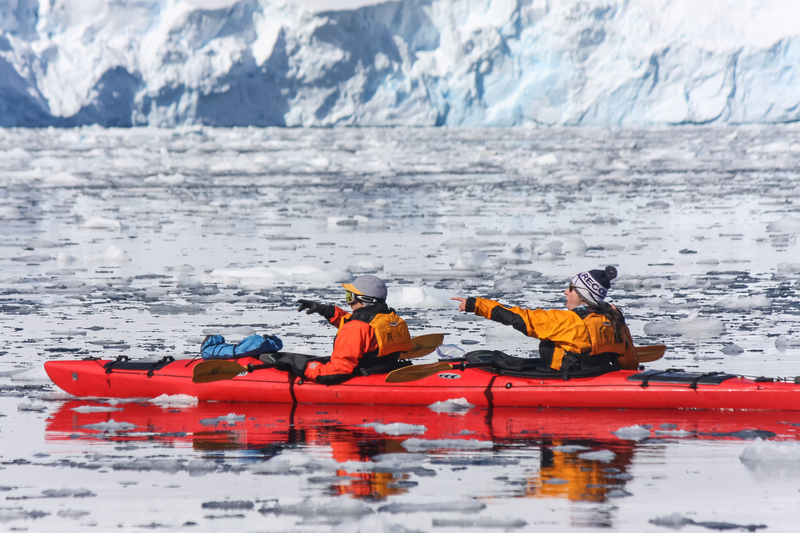 Can you expand on what impact you think kayaking in the Antarctic can have on people? We have seen through our guides that a kayaking experience in the Antarctic can teach them about courage, resilience and over-coming adversity. From that, there can be all sorts of benefits - greater self-belief, increased self-confidence and a greater desire to connect to nature. For some it can indeed be a powerful experience going well beyond the selfie of a lifetime. On the topic of over-coming adversity, how do you think your attitude towards adversity – or dangerous situations - has changed over time? It is really dependent on the type of adversity. In the outdoors we try to be one step ahead of actual adversity and cut it off before it turns into something serious. We do this through sensible risk management. As a novice kayaker that often means overcoming your own anxieties and managing expectations – a lot comes with experience. When dealing with clients, what do you find most fulfilling? The best thing is seeing, hearing and feeling the joy that your services and skills have brought to people’s lives. When a client leaves Antarctica we want them to have a piece of the place in their hearts, just like we do. You talk with real fondness for Antarctica, can you explain to us what it means to you to work in such an incredible place every day? It means we have perhaps the best office in the world! We return to Antarctica because of what it means to give people the gift of experiencing a place which is generally considered to be off limits. Climate change is obviously a big topic at the moment and the effects are being felt strongly in the Antarctic. Is climate change something that you’ve noticed the effects of, whilst working in Antarctica? Where we operate is one of the most rapidly warming places on the planet. Despite this, I find it difficult to say to what extent I have noticed the effects of climate change. We have seen the retreat of many glaciers but whether this is due to human induced climate change or seasonal changes – I don’t know. Many of these glaciers have been in retreat since the last glacial maximum so it is difficult to identify why they are retreating. However, we have certainly seen changes in the movements of some species which scientists have attributed to changes in the ecosystem. The nature of climate change is that the effects don’t generally slap you in the face, which is why the global response has been sluggish at best. You have obviously seen and learnt a lot through your experiences in the Antarctic. If you were just about to embark on your first ever trip in the Antarctic, what advice would you give to yourself, looking back now as an experienced explorer? It is certainly important to take lots of photos – and a few good pairs of gloves! At the same time though, take the opportunity to absorb the aura of the place without a camera. Photos tell stories, but memories make you who you are. Also never underestimate the conditions. Disrespect the conditions in Antarctica and you will pay the price. To find out more about Ewan and Sophie’s story click here.